Many who have seen the Anderson Fountain, located at the north west corner of Prince Alfred Park, could be forgiven for thinking the fountain was constructed on that spot in 1882. In fact the Anderson Fountain was originally located on the site of Centennial Fountain in Parramatta Mall, near the old Town Hall. 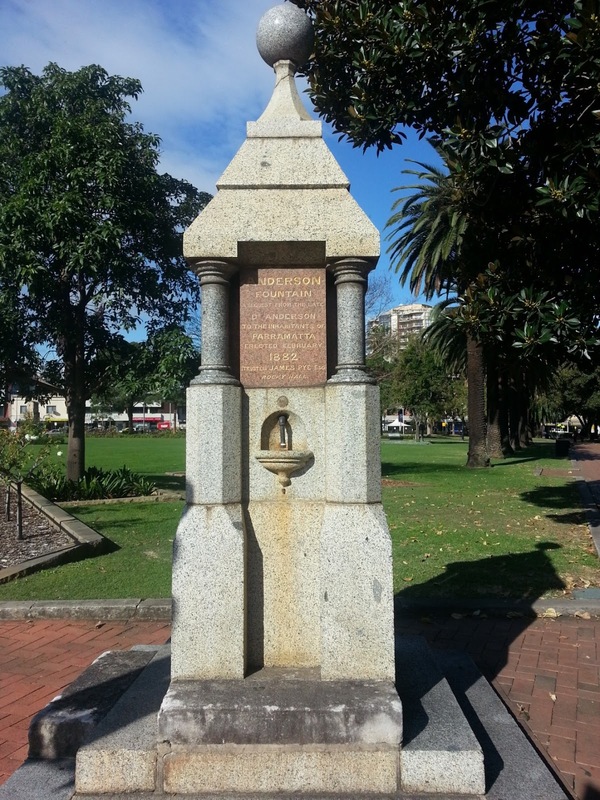 The Fountain's existence near the Town Hall was short lived when in 1888 Council decided to move the Anderson Fountain to Prince Alfred Park to make way for a far more elaborate drinking fountain to mark Parramatta’s Centenary.